Daria Gavrilova lets a commanding lead slip before eventually seeing off Monica Niculescu at the Hong Kong Open, while Sam Stosur is through to the doubles semifinals alongside Gavrilova's next opponent. 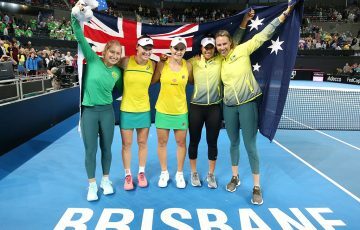 Australia’s Daria Gavrilova came through a dramatic final set to beat unseeded Romanian Monica Niculescu at the Hong Kong Open on Thursday. Gavrilova, runner-up in Hong Kong last year, looked on course for a comfortable win in the early stages, and again with a 5-1 lead in the decider. 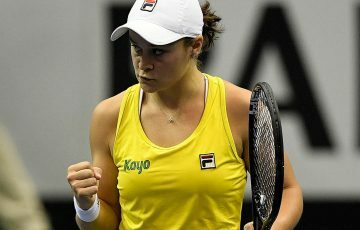 However, she eventually needed a tiebreak to clinch a 6-3 4-6 7-6(3) victory after nearly three hours. 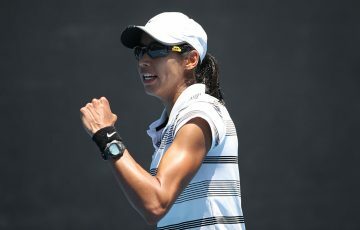 The seventh seed goes on to face China’s number two Zhang Shuai in the quarterfinals on Friday. 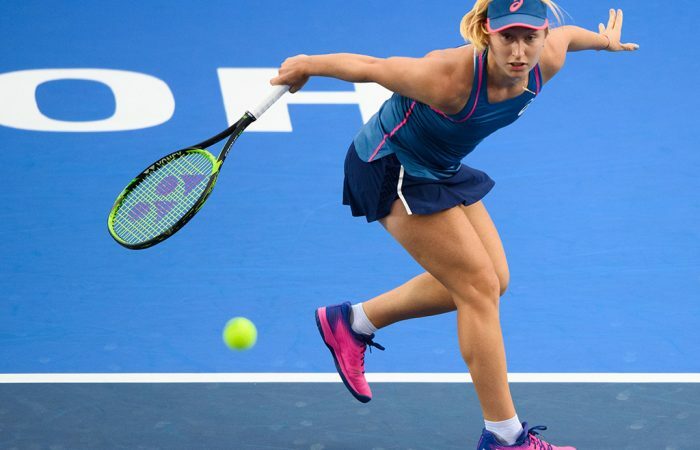 “I probably was getting a bit too emotional and frustrated because I felt like I was dictating, but I was making too many errors,” Gavrilova said.
.@Daria_gav books her spot in the @HKTennisOpen quarterfinals! Meanwhile, Sam Stosur is through to the doubles semifinals in Hong Kong, partnering Zhang. The pair reached the semifinals recently at the US Open and continued their late-season charge with a 6-4 7-6(5) win over Japanese fourth seeds Miyu Kato and Makoto Ninomiya. They will next face Alexa Guarachi of Chile and Mexico’s Giuliana Olmos for a place in the final. 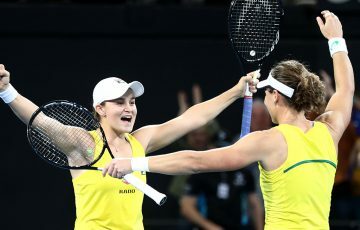 In Tianjin, all-Aussie pairing Monique Adamczak and Jess Moore advanced to the final with a 6-4 1-6 [10-5] victory over Han Xinyun and Darija Jurak. The duo also won the WTA Guangzhou title together. Their opponents in the Tianjin final are yet to be decided.